Superfetch is a finctionality in windows 10 introduced for two purposes. The first one is decreasing boot time and the second one is loading apps faster. Superfetch does this by preloading them in the memory. It also tracks your usage pattern for a better preloading decision. For example, if you open chrome in the morning, it will preload chrome in the morning hours, so that app load faster. But sometimes prefetch becomes a major cause of high disk usage. Here in this article, we will discuss how to disable superfetch in windows 10. 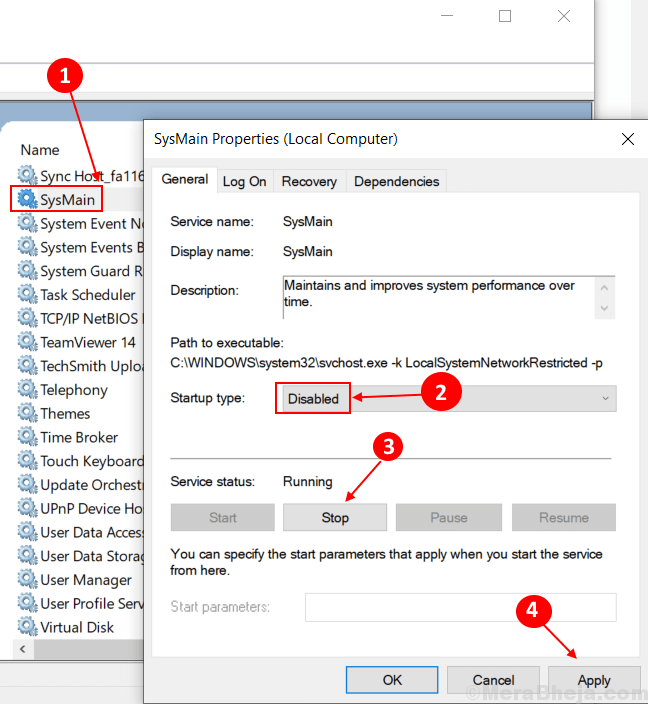 Note – In new Windows 10 Update, Windows OS have renamed it as SysMain. 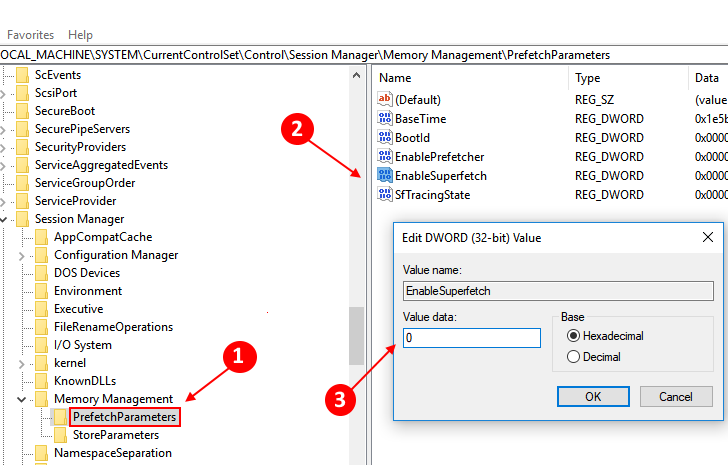 To disable this service through Registry Editor, do the following. 4. Double click on Sysmain. 5. Now, Choose Startup Type as Disabled from the dropdown. 6. Click on Stop to stop the service. Step 1 – Open command prompt as admin. Step 2 – Write the command code given below and hit enter. Note: – To enable it again, just run the command given below. sc config "SysMain" start=auto & sc start "SysMain"
Step 1 – Press Windows key + R together to bring up run command box. Step 2 – Write Regedit in the run command box and hit enter. Step 3 – Now browse to the location given below. Step 4 – On the right side of the popped up box, find EnableSuperfetch entry from the list. Put one of the following values in EnableSuperfetch depending upon your requirement. If this entry is absent, just do a right-click the on the PrefetchParameters folder, then choose New > DWORD Value. Name this EnableSuperfetch and do the steps given above.